SooYoung ♥ Jung Kyung-ho, catching a weekend romance "We are meeting well"
Singer Girls Generation member and actor SooYoung (28, Choi Soo-young) and actor Jung Kyung-ho (35) were found enjoying the weekend. 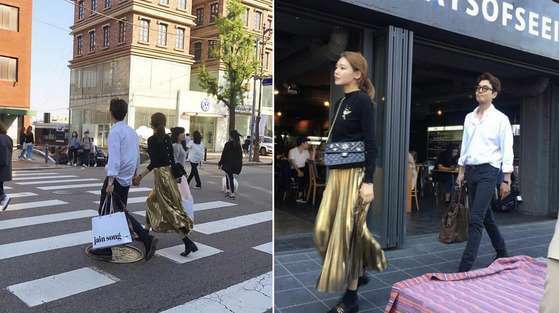 In the online community and SNS on the 24th, the street date of SooYoung and Jung Kyung-ho is displayed along with the photos and is becoming a hot topic. The couple in the photo were showing their romance by crossing the road with their hands. Especially, they spent their own time without paying attention to their surroundings. SooYoung and Jung Kyung-ho released their love affair in January, 2014, and have been in love for the past four years.